A business always needs to look clean and presentable for customers and employees alike. That's why regular professional commercial carpet cleaning services are so essential. If you’re searching for commercial carpet cleaning in Philadelphia, Pennsylvania, Penn Jersey is ready to help. With four decades of experience, we specialize in high-quality, professional carpet cleaning that business owners can trust to deliver clean, and fresh-smelling results every time. Our commercial carpet cleaning service can keep your carpeting in A+ condition for longer, as a well-maintained carpet will last longer. Our experienced, trained and skilled cleaners can rid your business’ carpeting of any lingering debris, dirt and dust. We can make your carpeting look and feel smooth, bright and more inviting. If you’re sick and tired of looking at carpet that’s dull, lackluster and lifeless, even after cleaning, Penn Jersey is ready to step in. Unclean carpets harbor allergens, which can lead to real health concerns for anyone visiting or frequenting your premises. Professional cleaning ensures all allergens are removed and your carpets are hygienic and won’t be the cause of any allergies. Not all pests are visible and dirty carpets are home to all kinds of small, yet hazardous, pests. Pests such as dust mites and carpet beetles love unclean fibers so keeping your carpets clean is essential to avoid sharing your premises with a wealth of pests. Mold has huge potential health risks and is not something you want in your home or business. Your business’ carpets can easily become the perfect breeding ground for mold if not kept clean. Mold and bacteria growth in carpets can lead to respiratory problems and other health concerns. Understanding the risks of unclean carpets is a great starting point for making a change. Whether running a single business or a number of properties, any carpeted area needs to be regularly cleaned. At Penn Jersey we have been providing high quality carpet cleaning services to commercial businesses for many years. We work to remove odors, stains and importantly those hazards we’ve already mentioned, ensuring your carpets look and smell great, and pose no health risk whatsoever. As well as giving you peace of mind about the hygiene of your carpets, Penn Jersey commercial carpet cleaning ensures your business offers a great first impression to any visitors. We recognize there are many priorities in business which is why we offer flexible carpet cleaning services. Both contract and reactive services are possible, with our carpet cleaners working with many clients on a regular basis as well as some for one-off special jobs and contracts. Our professional teams are used to working with carpets of many different styles, fibers and materials and we have access to a variety carpet cleaning machinery and materials, guaranteeing the right setup for each job. Our seasoned specialists don't just deep clean your carpet, either. We're able to shift unpleasant odors with our efficient carpet deodorization service. Carpet deodorizers can help you maintain a carpet that smells as fresh and pleasant as it looks and feels. We also protect carpeting. If you want to give your business’ carpeting extra protection against spills, dirt and dust, we can provide you with first-rate protection that can reduce the amount of dirt that makes its way into your carpet’s fibers. Our protection work, part of our commercial carpet cleaning service, can help people maintain their carpeting for a lot longer. This allows your business to both make a long-term cost saving and enjoy better quality for your carpets. We have a team of proficient carpet cleaners, many of whom have been with us since the day we opened. Our company has been part of the business community in West Philadelphia for more than four decades now. 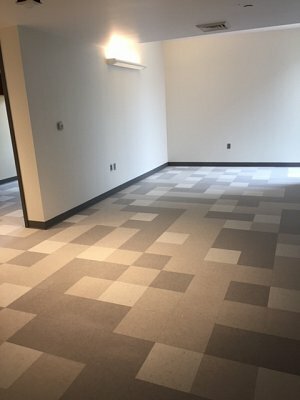 If you’re searching for reputable commercial carpet cleaning businesses, who can protect, freshen, and restore your carpets, we’ve probably done the same job for someone right around the corner from you, right here in Philadelphia.